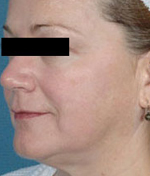 Nobody can completely escape telltale signs of aging such as wrinkles, eye bags and sagginess beneath the chin. It happens to everybody at one point or another. But thanks to the Laser Essential & Skin Care clinic in Toronto and a revolutionary new Laser Skin Firming/ Lifting procedure using the versatile Long-pulsed Alexandrite and YAG laser produces deep dermal heating which induces neocollagenesis, people today have a way to counter those signs of aging. Laser Skin Firming/ Lifting is an anti-aging solution that safely and effectively tightens skin and gives patients a more youthful, toned and healthier appearance. You still feel young. You still live a young, active lifestyle. If you want your appearance to better complement the way you live, consult with our specialist at the Laser Essential & Skin Care clinic in Toronto and learn how Laser Skin Firming/ Lifting can help you recapture a bit of your youth. How does Laser Skin Firming/Lifting work? Laser Skin Firming/ Lifting uses the technology of Long pulsed Alexandrite & YAG laser energies to heat specific layers of your skin that are showing signs of aging. Through this heating process, tissue that has been weakened by your body’s lower collagen production is strengthened, encouraging collagen production and leading to a reduction in wrinkles, bags and sags. 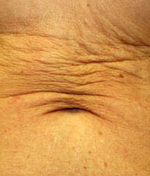 On what parts of the body can Laser Skin Tightening be used? 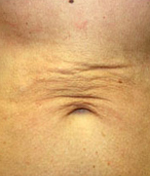 Laser Skin Firming/ Lifting is used to treat areas on the face, neck, abdomen, upper arms, knees or any place where your skin has sagged, stretched, wrinkled or creased. Is Laser Skin Firming/ Lifting safe? Yes. Laser Skin Firming/ Lifting is FDA-approved as a safe, effective, non-invasive solution that uses optical energy to eliminate wrinkles and sagging skin. There are no side effects, and no prescription medications are required with treatment. Most patients require five to six treatments, with roughly one month in between each treatment. Upon completion of the initial schedule, your Laser Essential & Skin Care specialist will help determine additional maintenance treatments with appropriate interval time..
Laser Skin Firming/ Lifting is a virtually painless, non-invasive procedure. 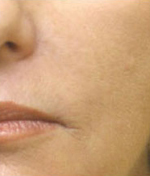 Is there any downtime following a Laser Skin Firming/Lifting procedure? No. Patients can return to their daily activities immediately following a procedure. Can people of all skin types use Laser Skin Firming/ Lifting? Yes. 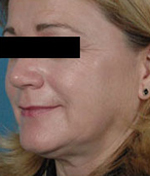 This procedure is safe and effective for all skin types. How much does Laser Skin Firming/ Lifting cost? The cost of Laser Skin Firming/ Lifting varies from patient to patient depending on the severity of the condition and the area to be treated. The Laser Essential & Skin Care clinic strives to offer the lowest prices of any laser therapy clinic in Toronto, and offers affordable pricing plans to make Laser Skin Firming/ Lifting a viable option for as many patients as possible. Schedule a free consultation today and learn more about how Laser Skin Firmng/ Lifting can take years off your appearance.